Papua New Guinea’s Minister for Mining, Johnson Tuke, has been peddling some ignorant misinformation in his attempts to defend experimental seabed mining. “We have learned that the deep sea is as exquisitely diverse as any bit of shallow marine or terrestrial environment”. 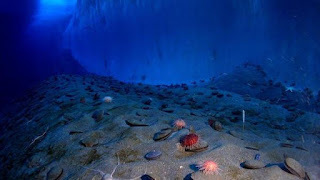 Indeed, dozens of new species are routinely discovered during forays to the bottom of the ocean, even at depths twice as deep as the proposed Nautilus mining operation.